A lot of the questions I get from readers of this blog have to do with building credit. Everyone wants to know things like what type of monitoring services they should use or how they can increase their score in the shortest amount of time. Unfortunately though, building credit isn’t always a quick and painless process. It could take years to build up a solid score with a long enough history to get you the best interest rates when applying for lines of credit. In fact, when I bought my first property at the age of 23, I had a 780 credit score but since the average age of my accounts was so low, I couldn’t get the best available rates. Since then, I’ve opened multiple lines of credit, lowered my utilization and made sure to keep my oldest accounts active in order to raise my score as high as possible. I have over 20 22 credit cards now and through a combination of careful planning and some tricks and tips I’ve picked up along the way my credit score is still very healthy(fluctuates from 725-775) and I’ve never been denied for a line of credit. Understanding what comprises your score and what affects your score is key in building a solid credit profile. What good is a great credit score if you never use it? I won’t ever have a score in the top 5%, but I’ll still get the best rates on loans and I can take advantage of all the great sign-up bonuses out there as long as I maintain my good credit. A credit score is compiled from five main data points: the number of open accounts, the average age of those accounts, the credit utilization rate(balance/limits), number of inquiries and payment history. For newbie credit profiles, there’s not a whole lot you can do about the number of accounts you have. If you’ve never had an account before, that part of your score will be weak. But at the same time, since you’ve never had an account you won’t have any inquiries either which should help your score. Getting added as an authorized user is one way to jumpstart your credit profile since you gain a new account and there’s no inquiry. In my last article about adding an authorized user, I actually did a test case where I added my girlfriend(now fiancee) as an AU on my Amex Gold card and her score went up by 7 points. It didn’t make a huge difference but it was a quick and effective way to boost her credit score. Each case is different but generally the worse your score and the higher the limit is on the card you’re added to, the higher your increase will be. When you’re added on as an authorized user, the age of your account is supposed to reflect the date that you were added on and not the date the original cardholder opened the account. But there’s some ambiguity with Amex since it looks like prior to November of 2011 they would allow Authorized Users to reflect the original cardholder’s opening date ‘if you asked nicely’. Obviously you could see how valuable that would be since if I had my dad(Amex cardholder since 1980) add me as an authorized user, my average age of accounts would shoot way up. I wasn’t even born until 1987 but my credit report would show that I opened that AU account in 1980. And in fact, there are reports of people who did just that! Amex’s official policy is that they will no longer backdate an AU’s card to the original date opened of the cardholder but there are still reports of success on this Creditboards forum. The key seems to be persistence. In one case, there was a user who actually called 67 times before a rep finally agreed to change his AU’s date to his opening date. When you call make sure you don’t mention the word backdate. Instead, ask if they can change the member since date on your AU’s card to reflect the same date that’s on the original cardholder’s card. My opening date is 2010 on my Amex Gold but my fiancee’s opening date was 2012 so I went ahead and called Amex’s customer service line. The first rep I talked to told me that their policy was not to change the opening date of an AU’s card to match the original cardholder’s member since date. Instead of trying again though, I signed onto my online account and used the chat feature to speak with another CS rep.
No luck there either. Next, I decided to turn to social media and see if they could help me out. They told me the same thing the phone rep told me so I finally gave up. It wasn’t really worth my time since I might not be keeping my Amex Gold past this year(if they don’t waive the fee for me again). Long story short, I wasn’t able to get my fiancee’s member since date changed to match mine but I did discover something interesting along the way. Since I have a Hilton Amex that was opened in 1999, Amex allowed me to match my Amex Gold(opened in 2010) to the Hilton card opened in 1999. So on my next credit report, I’ll be eager to check and see what the opening date says for my Amex Gold(It worked! I just checked my Experian report and all of my Amex accounts show opened in 1999). This can be very valuable since you can actually match all your cards to the opening date of your earliest card. I have four different Amex cards so I plan on getting them all changed to an opening date of 1999 and really boosting my average age. 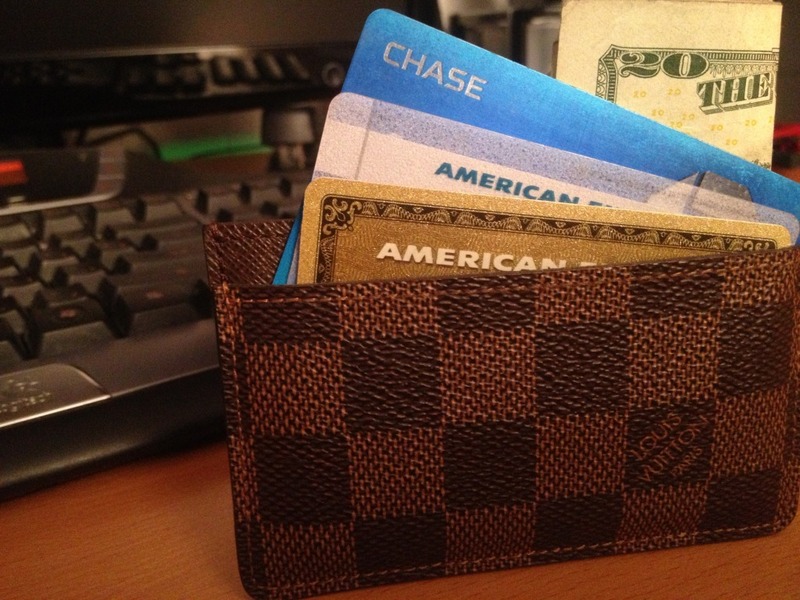 Readers, have you ever heard about this Amex backdating trick or had success with it? Can you think of any other ways to quickly boost your credit score? I never thought of having my Am Ex backdated! I had a Am Ex v=card years ago and probably could justify having it backdated. Nice, give it a try and let me know how it goes. They’ll do it no questions asked.. I became an AU on an Amex credit card in 2014, I previously had an Amex in 1998, but I closed it shortly before I did a BK in 2007. I asked Amex to backdate AU card to 1998, and they obliged. But on my credit report it still shows as credit opened in 2014. So at this point, Amex shows Original Member since 1998, but on my credit report they still report it as a new card. Wow, great data point. That’s pretty cool of Amex to backdate you to 1998 even though your card was closed. When did they backdate it for you? I wouldn’t be surprised if it took a month or two to get updated in Amex’s system and then reported to the credit bureaus.